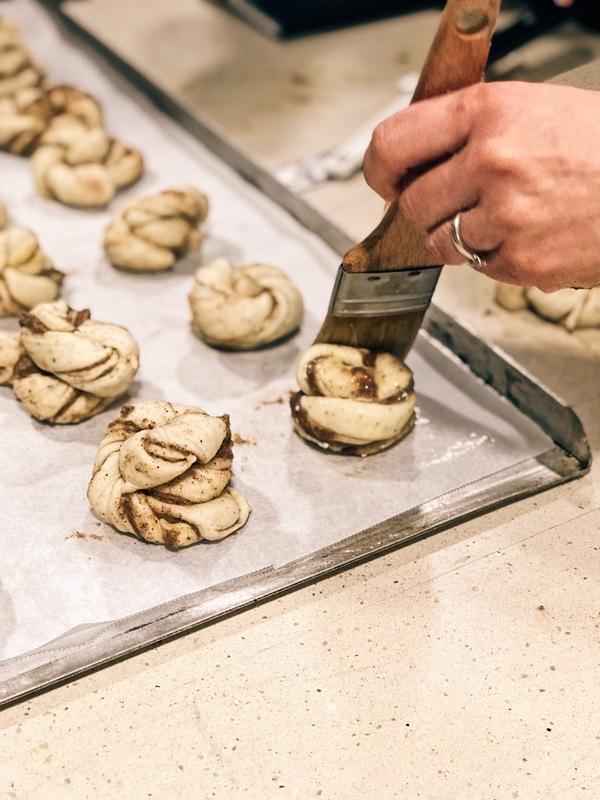 Swedish lifestyle is something that I’ve always been fascinated with and embrace it’s influence into many areas of my life, be it through functional and efficient design or simply the way I cook my dinner. 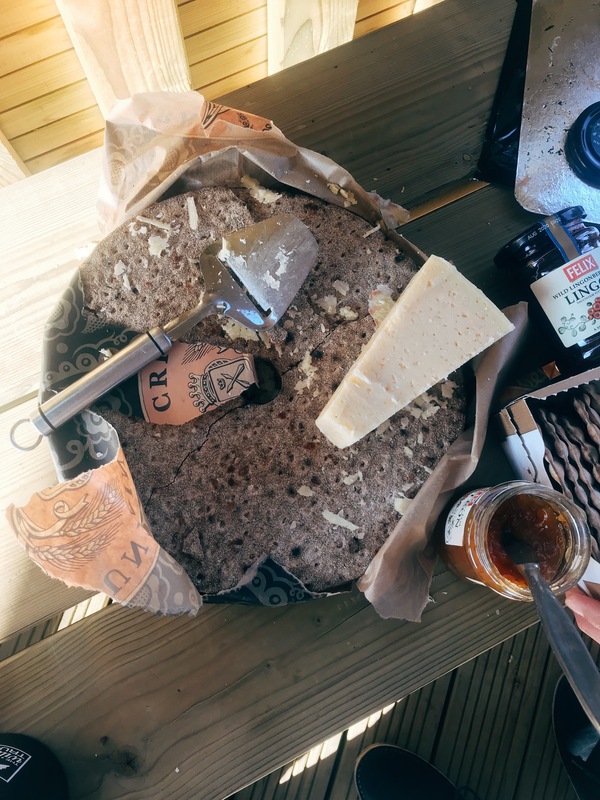 The cosiness of Hygge is still something I enjoy, but It’s the art of Lagom living that is set to be one of the most talked about lifestyle approaches this year. So when Volvo invited me to a weekend getaway to learn all about it – I jumped at the chance. 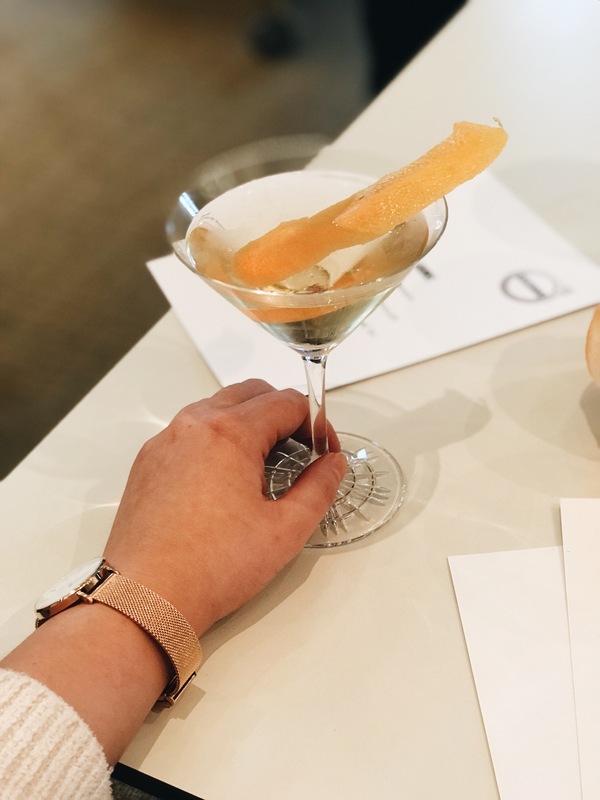 Accompanied by my best friend Woo, Volvo whisked us away for an incredible spa weekend at the Grove hotel to learn all about the Lagom lifestyle and how it influenced the seamless design of the new Volvo XC40. 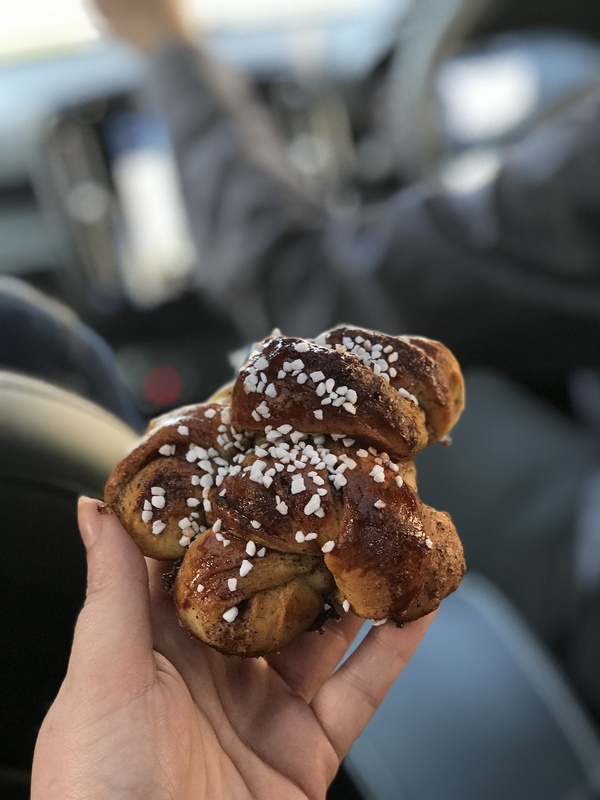 The weekend focused on Lagom cuisine with 3 activities throughout the day and an opportunity to test drive the cars themselves! From the comfort of your home, you can start the engine or heat or cool your car through the touch of a button. The Vovlo app lets you view your cars vital statistics and can even set your destination and route directions all without stepping outside. If like me you have to wear gloves not to look elegant driving, but to minimise the risk of frost bite, then you’re probably already sold on this feature alone! This is something I’m really passionate about. I certainly don’t live a completely sustainable life, but I embrace even the smallest opportunity to make a difference. The interior mats in the Volvo XC40 are in fact made from 100% recycled material and it’s a great step in the right direction. I love road trips, weekends away and big shopping trips to buy furniture and I need a car that loves those things too. The storage design in the Volvo XC40 is simply genius, with every space utilised for maximum efficiency. The door pockets are large enough to hold laptops and handbags (that Gucci GG Marmot deserves its own space) and there’s even a card holder for those on the move purchases. Inside are hooks to hold shopping, or say a bag of champagne, and there are hidden compartments for those items you want kept safe and secure. The lives we lead are more fulfilled and exciting than ever before, but that also means we’re super busy individuals and need all the help we can get. 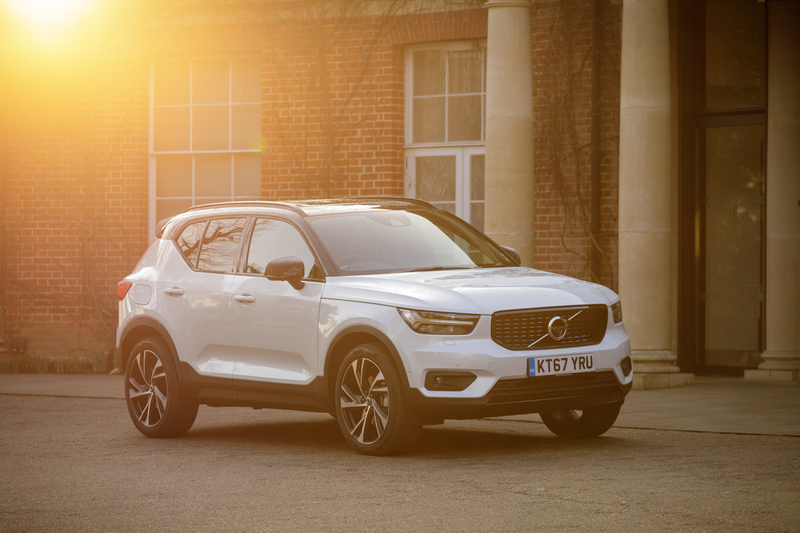 The technology inside the Volvo XC40 does just that, and it does it intuitively. The Care by Volvo package allows customers to speak directly to a concierge with the touch of a button, who will be able to book restaurants, send directions in case you are lost, find you parking spaces and even confirm hotel bookings. It’s like your very own personal car butler, and who wouldn’t want that? Every element of the drive is seamless thanks to the technology embedded into so many features. There’s wireless phone charging and you can even sync your calendar to your car and it will give you directions to your meetings. It’s smart stuff, and it’s a few less things for you to think about. This for me, was my favourite feature. When it comes to turning in the middle of the road, I’m not particularly committed to the number 3 and I certainly wasn’t blessed with parking capabilities. There are probably many bins, walls and the odd pedestrian that owe a lot to the sensors on my car. Volvo have found the holy grail of parking solutions, and through genius technology, provide a birds’ eye view of the car with the touch of a button. The car is surrounded by 350 degree cameras for even more precision, and guidelines for the perfect park. Mic drop. 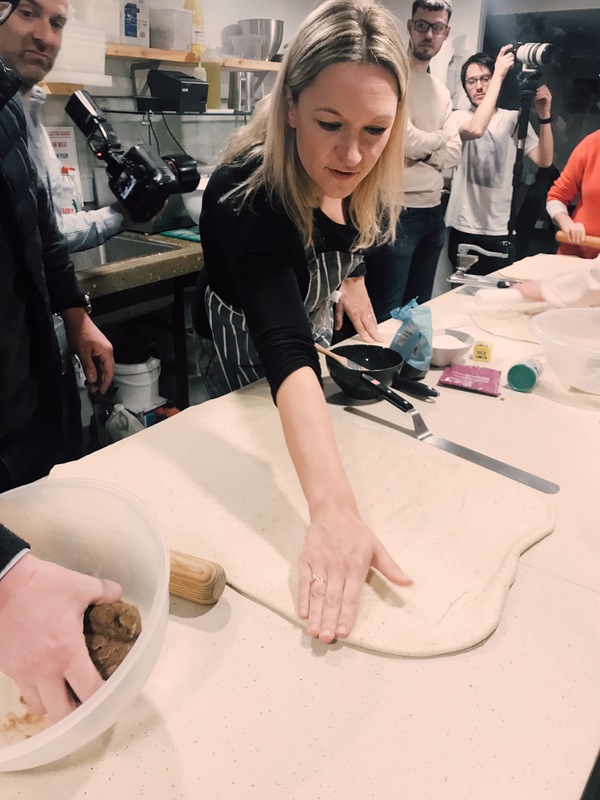 The first of our cuisine activities took us to Baked Nation, a quaint and charming bakery in St Albans. 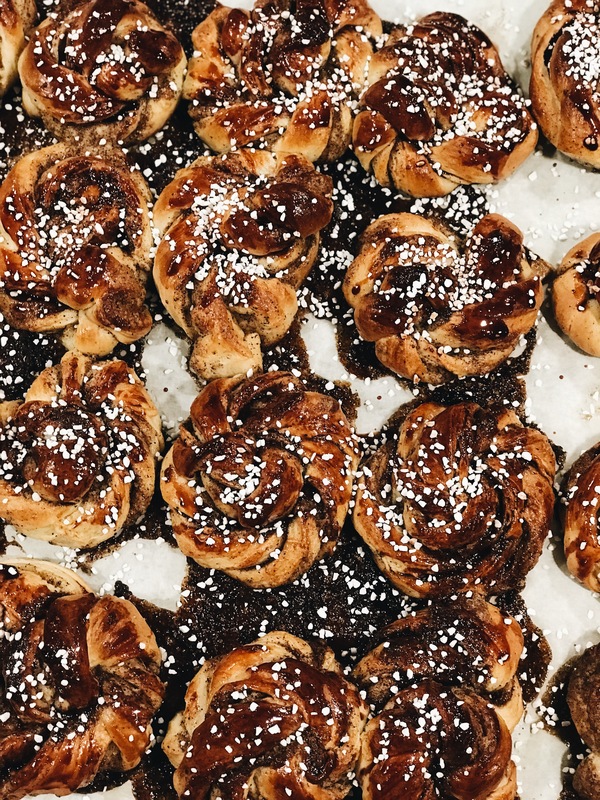 It was there in the kitchen that ScandiKitchen food writer Brontë Aurell taught the group how to make her renowned cinnamon buns. The recipe is a beautifully simple and humble one, with delicious results. 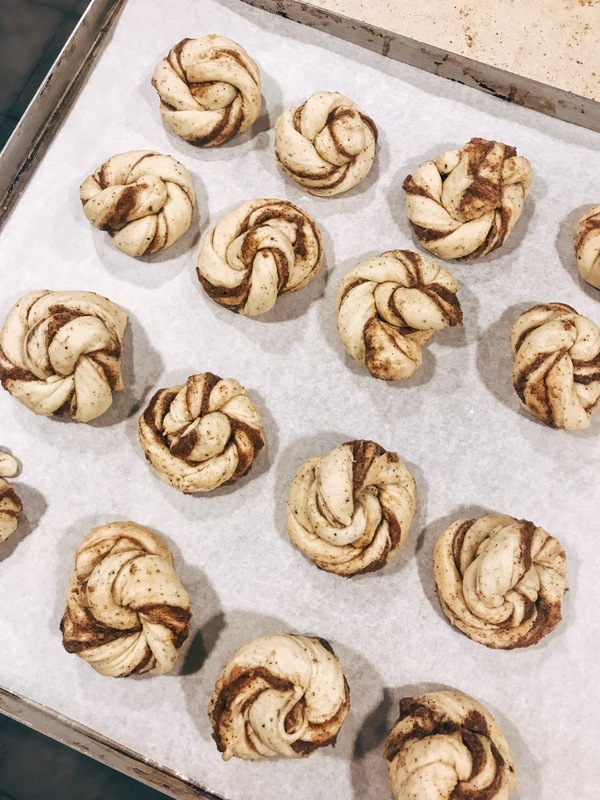 There is something so wholesome and soothing about freshly baked pastries, especially when the aroma of warm cinnamon fills every corner of the kitchen. 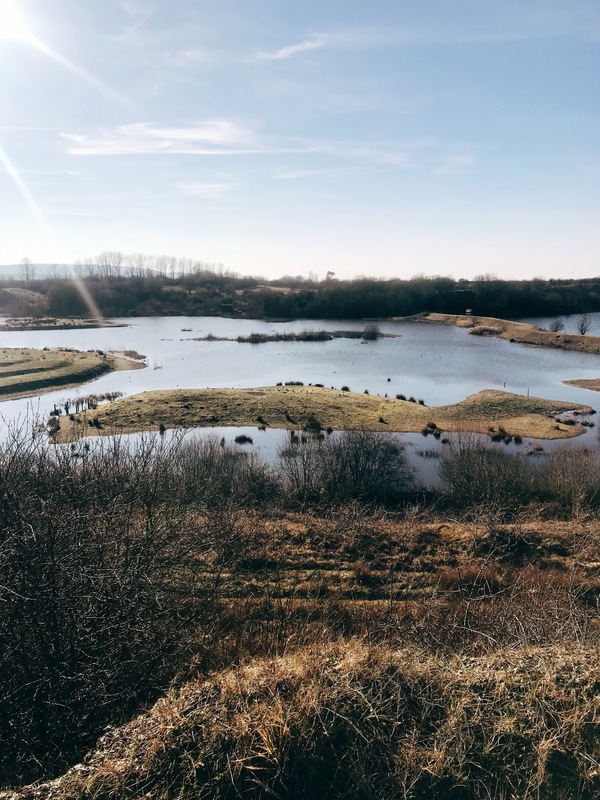 Our next stop was nestled in a hut amongst the breath-taking views of College Lake Nature Reserve, where we cosied up in blankets and tucked into traditional Scandinavian food. 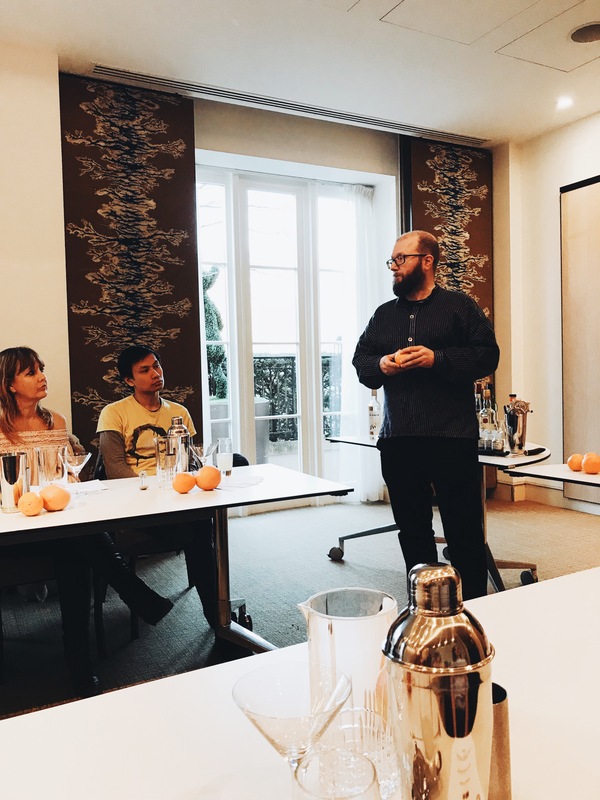 Brontë led the discussion on Lagom, and how it can be implemented into so many areas of our lives. 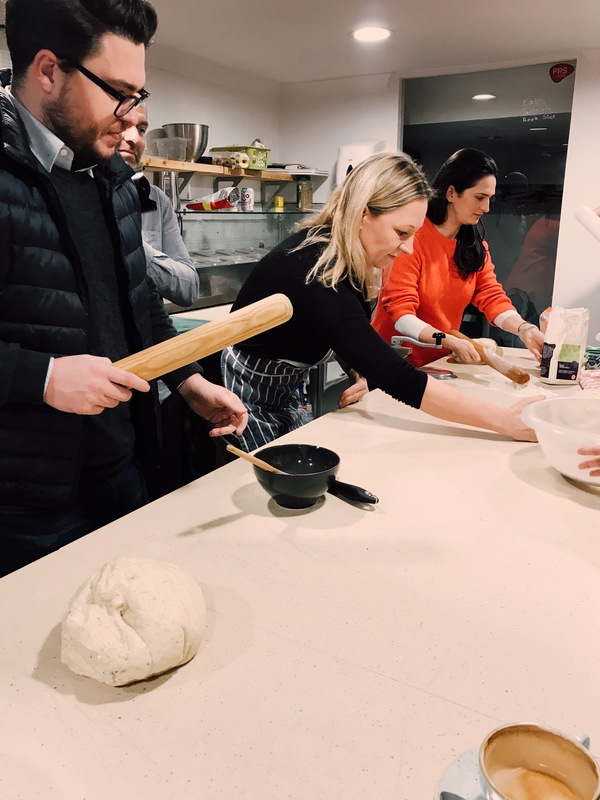 It was clear that Lagom brings about a great sense of balance, appreciation and contentment to those that adopt it, and we were soon highlighting everyday situations that could benefit for a little Lagom thinking. I’m definitely guilty of buying the same item in two or three colours, or polishing off a box of chocolates in an evening (ahem, hour) instead of enjoying them over the course of a week. Thinking about what I really need as opposed to what I want (which is usually everything) will definitely help my bank balance and my waist line! 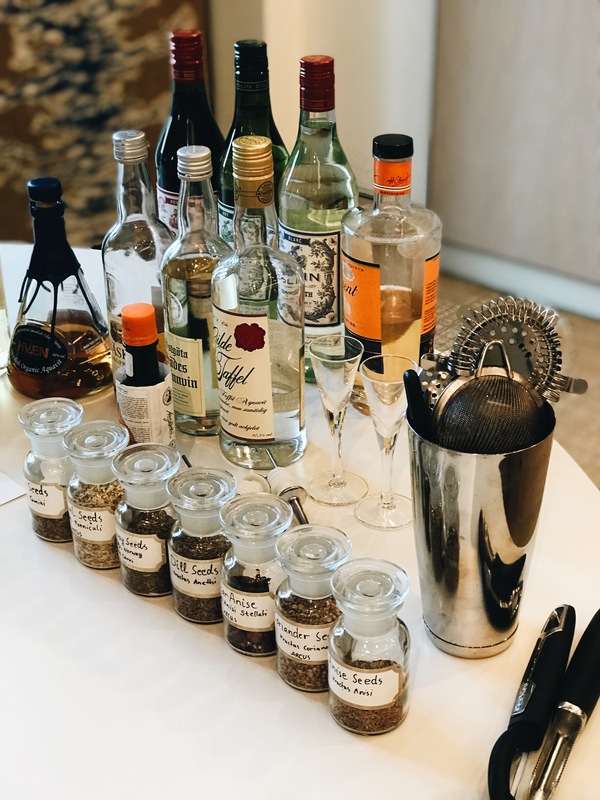 We finished up the cuisine activities with a Lagom Mixology Masterclass by Jon Anders Fjeldsrud – the perfect end to a day of balanced indulging. 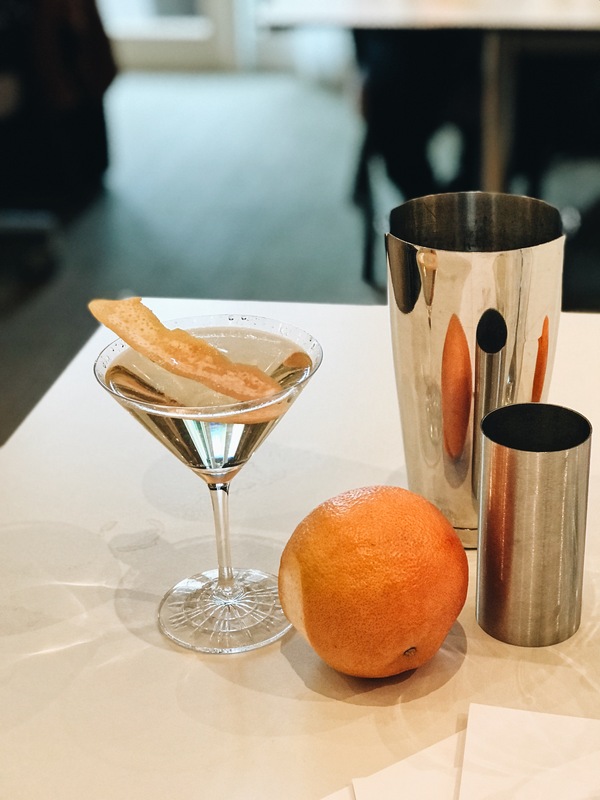 Now, I’m no stranger to cocktails, in fact, I’d say I’m rather well acquainted, but these particular cocktails were not for the faint hearted. 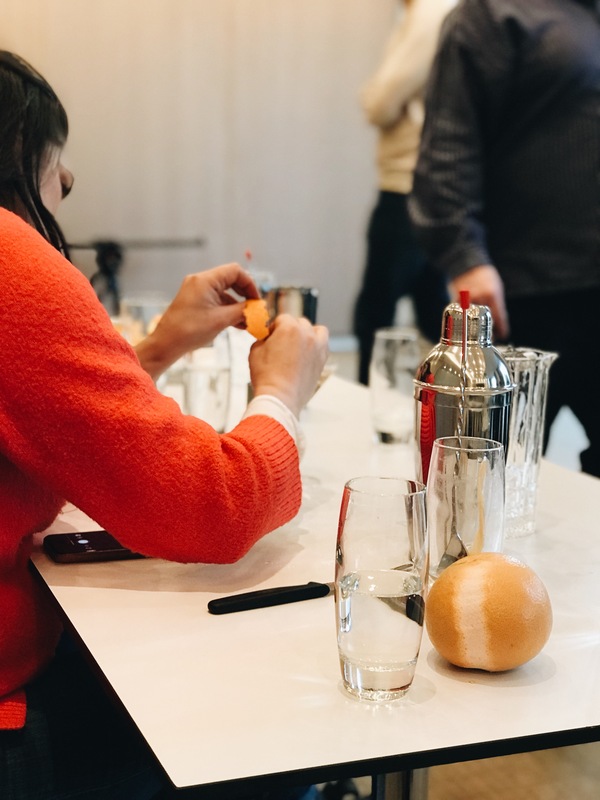 The underpinning ingredient was Aquavit, a Scandinavian flavoured spirit that provides the perfect backdrop for a stiff drink. There were no mixers in sight, and yet each cocktail was well-balanced and thoroughly enjoyable. 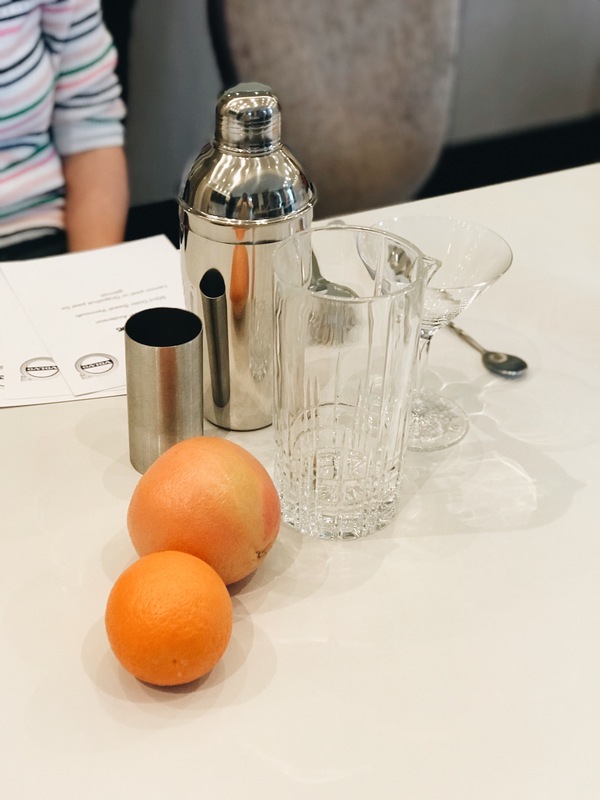 Influenced by Lagom, each cocktail contained just the right amount of fresh zest, bitters and splash of Aquavit. Bottoms up! 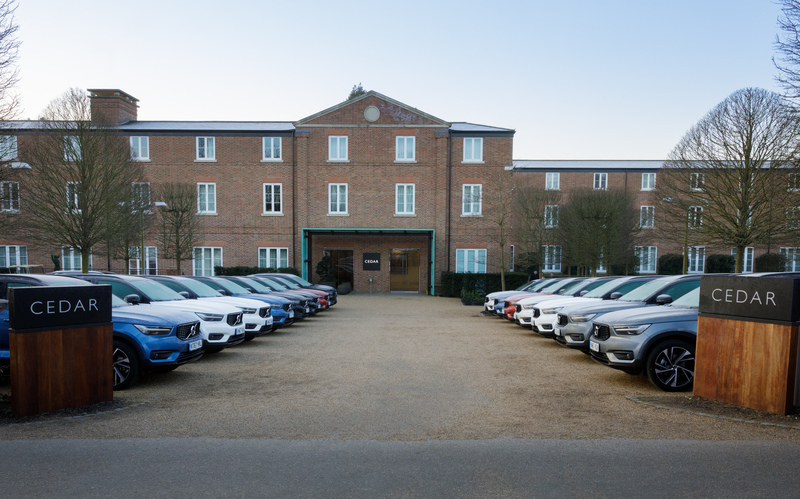 Volvo kindly treated us to an incredible nights stay at The Grove hotel, where we left feeling thoroughly refreshed and enlightened about the world of Lagom. The weekend started with Woo and I being picked up from Chelsea by a chauffeur driven Volvo and whisked off to the incredible 5 star spa hotel. We arrived to a fleet of over 20 brand new Volvo XC40’s, several photographers and film crews and the loveliest team of people. 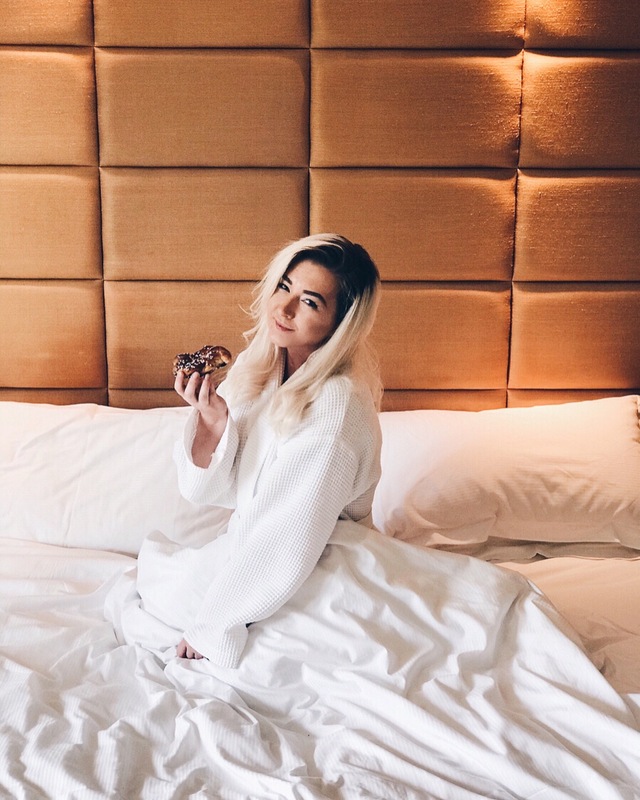 With access to the spa and breakfast delivered to our room, it’s safe to say we felt totally spoilt. It was undoubtedly a big event to organise, so a huge thank you to Volvo and the Frank PR team for making it incredible! I’d love to hear your thoughts on the Lagom lifestyle! How would you incorporate it into your life?